Our tomatoes are finally coming on for the 2011 garden season here at Boyd Street Bungalow. Did a happy dance the other day when I finally saw them appearing! Aren’t they wonderful? We usually have our first red one to pick and eat by July 4th but we were late in planting this year because of all the bad weather and flooding in this area. All our six tomato plants are Better Boys or Big Boys which we had the most luck with last year. That’s okay because we are still looking forward to our first “Mater” Sandwich of the year! Pass the knife, salt and mayo.. I’m ready! 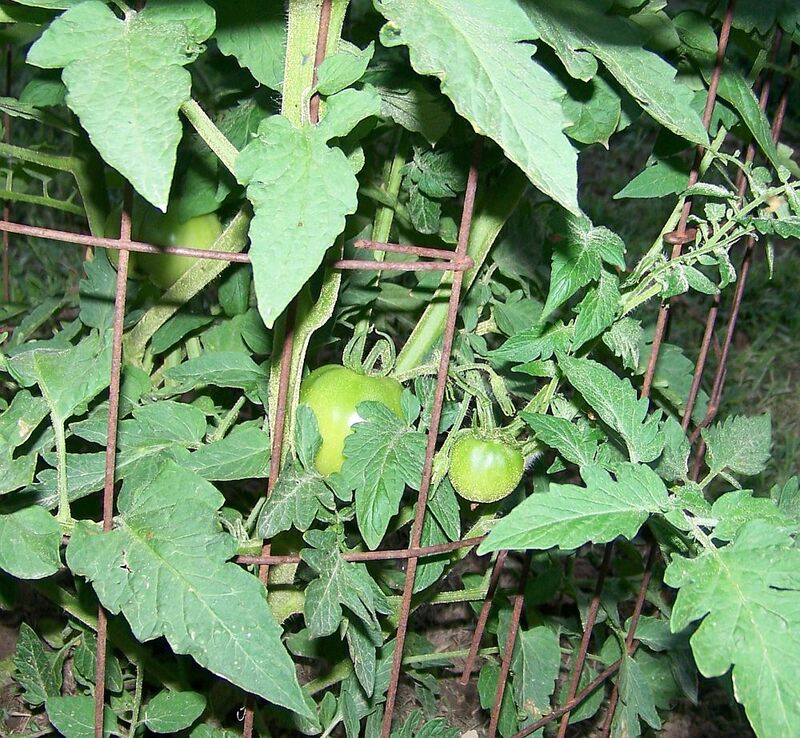 Posted on June 23, 2011, in Home, Yard/Garden and tagged garden, Homegrown Tomatoes, Tomatoes, vegetables. Bookmark the permalink. Leave a comment.